Libyan warlord Ahmed Dabaschi is a former people smuggler who now prevents migrants from leaving Libya and some claim the Italian government has paid him to do it. Dabaschi, also known as “al Ammu”, or “the uncle”, is one of the most notorious warlords in the Libyan city of Sabratha. Until recently, he was active in smuggling migrants out to sea where they would often be rescued by NGOs patrolling off the coast. The warlord has now turned his attention to preventing such crossings over the last three months, ‎Rheinische Post reports. 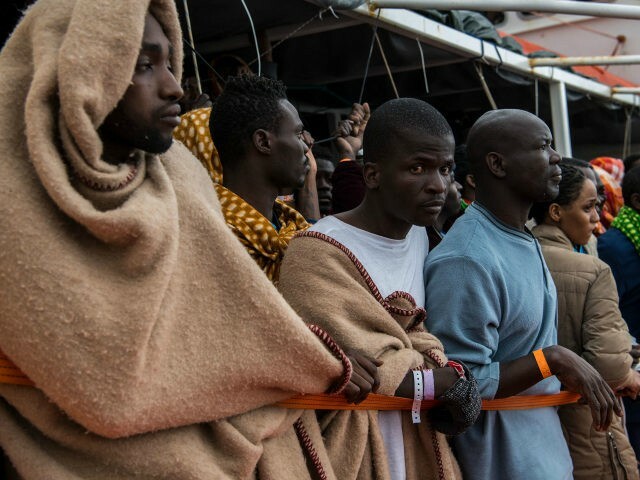 Commanding around 500 men in Sabratha, the 35-year-old is rumoured to be one of the main factors for the lack of migrants in the Libyan search and rescue (SAR) zone. According to some reports, Dabaschi and his men have received money from the Libyan authorities to prevent the migrants, while others have accused the Italian government of covertly working with the warlord. Italian newspaper Corriere Della Sera claimed that Italy had sent between 10 to 15 million euros to the Libyan government to stop people trafficking. The Italians have also flatly denied working with smugglers or local warlords. Not much is known about Dabaschi, and no photographs of him have ever been taken by journalists. What is known is that he commands the “Ammu Brigade”, a militia which previously smuggled oil, drugs, and human beings. More recently, the militia has been employed as security for guarding an oil refinery outside of the city run by Libyan oil and Italian energy company Eni. Some worry that if the money runs out that the group could reopen the floodgates and allow migrant boats to set off once again. Whilst some credit Dabaschi and his men for stopping the migrant flow, the Libyan coastguard has also been increasingly active in intercepting migrant boats before they can reach international waters. The coastguard has also warned off migrant rescue NGOs, some of which the Italian government claimed were directly working with people traffickers like Dabaschi.